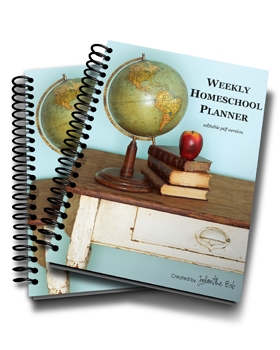 The Weekly Homeschool Planner will help you organize your school day and record your daily learning ~ year after year. Keep track of testing results, evaluations and special events. Personalize it to fit your family and use year after year! ONE planner, type in your plans, save them and use the same planner year after year? your computer to have a digital copy each year. subjects that your family studies and can be saved to your computer! MAC users need to be sure to open and edit this file using the free version of Adobe Reader only, or the file may not operate properly.